Learn about it and order your copy RIGHT HERE. All profits from Horror For Good: A Charitable Anthology are going to amfAR, the Foundation for AIDS Research. 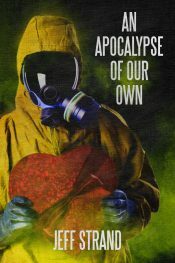 It includes my story “The Apocalypse Ain’t So Bad,” as well as stories by Jack Ketchum, Ramsey Campbell, F. Paul Wilson, Joe R. Lansdale, Lee Thomas, Ray Garton, Joe McKinney, Lisa Morton, Nate Southard, Benjamin Kane Ethridge, Laird Barron, Wrath James White, Lorne Dixon, Gary McMahon, Norman L. Rubenstein, Steven W. Booth, and Monica O’Rourke. Edited by RJ Cavender, Mark Scioneaux, and Robert S. Wilson and published by Cutting Block Press. Get it RIGHT HERE. Okay, this one’s a bit of a cheat, because you can’t actually order it; it was just given to attendees of the 2012 World Horror Convention in Salt Lake City. But this book, designed by Bailey Hunter, does include a brand-new short story by me called “The Carver,” so keep watching eBay, completists! Sure, I could fix the picture below so that the book is right-side-up, but then what motivation would you have to attend future World Horror Conventions? If you want to see the souvenir book without tilting your head at a 90-degree angle, well, dammit, you need to get to WHC! 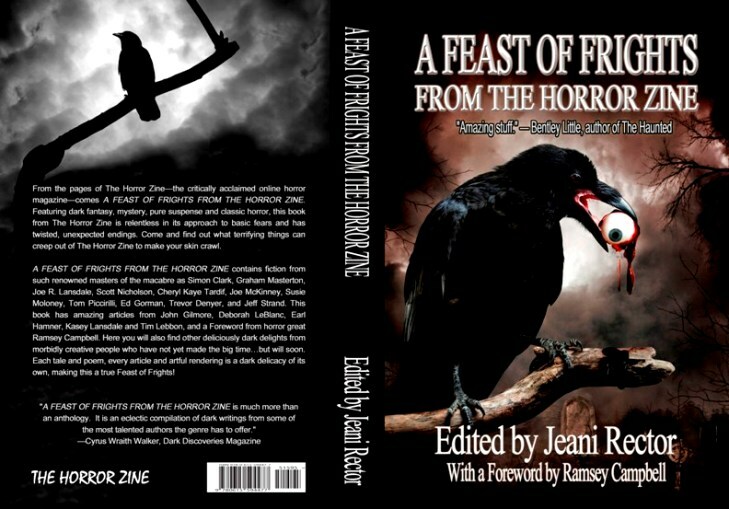 A Feast of Frights is a collection of stories from the monthly webzine The Horror Zine, edited by Jeani Rector. It contains one of my strangest stories, “The Story of My First Kiss,” which is about how useful severed heads can be in hilarious pranks. 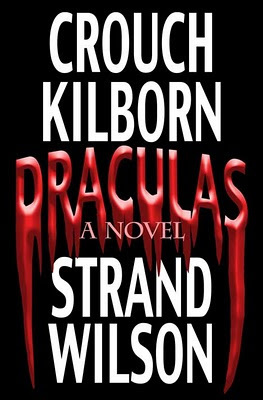 Lots-o-big names in this one, including Ramsey Campbell (who did the foreword), Simon Clark, Graham Masterson, Joe Lansdale, Joe McKinney, Tom Piccirilli, Ed Gorman, Tim Lebbon, and gobs of others. 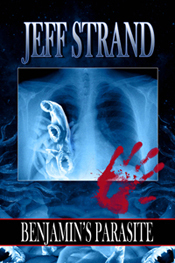 Other authors include Piers Anthony, Joe McKinney, Lisa Morton, and Gary McMahon. 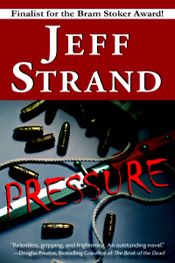 Available in paperback and wonderfully inexpensive e-book editions. Get it RIGHT HERE. 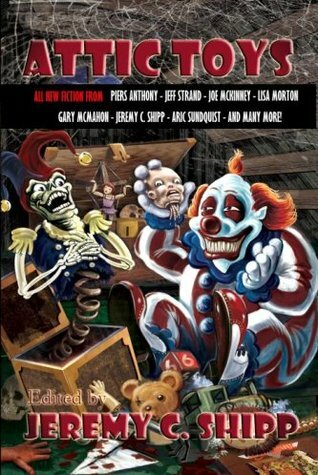 Certainly the idea of reading about Rocky Wood saving the world from the reanimated skeleton menace is reason enough to purchase an anthology, but if not, the book also has stories by Stephen King, Ramsey Campbell, Peter Straub, Chelsea Quinn Yarbro, Jonathan Maberry, and a bunch more. It’s a great big anthology, and in addition to the paperback there’s a Kindle edition for only $3.99, and all proceeds go to Rocky Wood. Get it RIGHT HERE. New Anthologies, Part I: Corrupts Absolutely? The book is available as both a paperback and an e-book, and you can get it RIGHT HERE. Lincoln Crisler also did virtual panel discussions for the book, with groups of 3 or 4 authors talking about issues relevant to the book. My topic, shared with Trisha Wooldridge and Ariyana Spencer, is HERE. Other contributors: Weston Ochse, Joe McKinney, Cat Rambo, A.S. Fox, Andrew Bourelle, Anthony Laffan, Edward M. Erdelac, Jason Gehlert, Jason M. Tucker, Jeremy Hepler, Karina Fabian, Kris Ashton, Lee Mather, Malon Edwards, Tim Marquitz, Wayne Helge, Wayne Ligon, and William Todd Rose.